Scary stuff like institutional racism, rope-free mountain-climbing and masked killer Michael Myers is on the menu for a late October weekend in local theaters. The documentary Free Solo proves breathtaking not just in capturing daredevil mountain-climbing, but in crafting a fascinating character study. 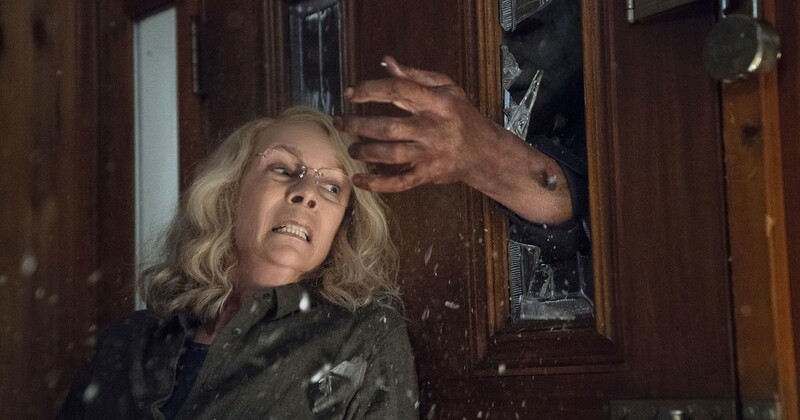 Eric D. Snider finds that the new, 40-years-later version of Halloween (pictured) might be better as a potent symbol of the #MeToo movement than as a scary Halloween movie. MaryAnn Johanson delights in the stories of four veteran actresses in Tea With the Dames. In this week's feature review, contentious political issues and the risk of taking a stand are explored in the dark comedy The Oath (Utah release postponed at press time) and in the drama The Hate U Give.